Your newest addiction comes in 3D! 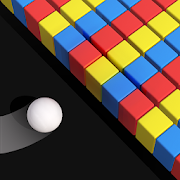 Very easy to play, too hard to master, Do not touch other Colors, that is it! 100+ Levels of limitless fun!